Only a short drive from the Crazy Horse Memorial is mighty Mount Rushmore. Unlike the Crazy Horse sight which in 75 years has not much more than a face completed, Mount Rushmore was completely done in 14 years. You can catch glimpses of the Presidents from miles away as you approach. 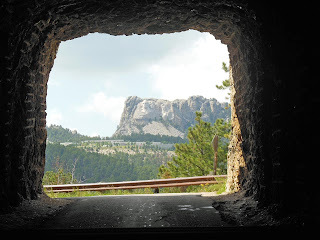 The drive north on highway 16A offers some spectacular views as well as some wonderful one lane tunnels that profile Mount Rushmore upon exit. As you make your way through each tunnel you are greeted with the four faces coming straight at you at the tunnel exit. Really well planned making for some great photo opportunities. 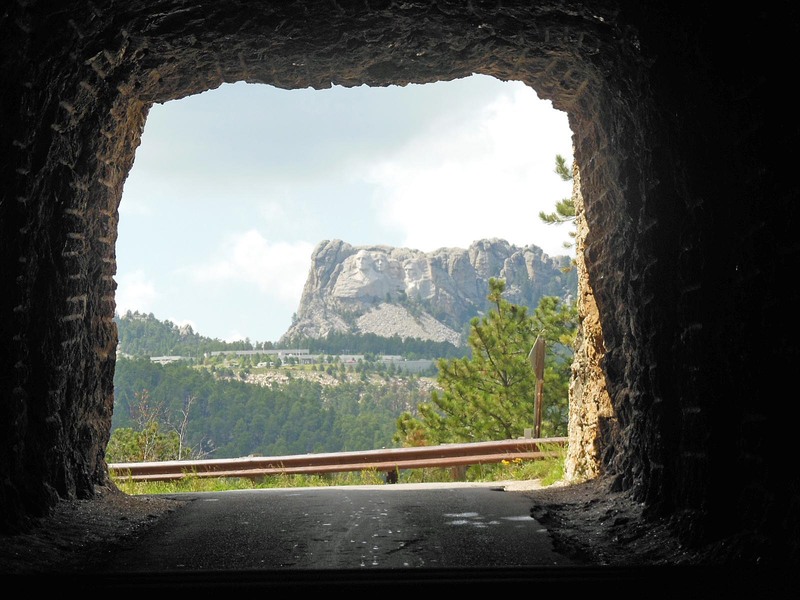 Entrance to Mount Rushmore is only $11. Quite reasonable when compared to the ridiculous cost of Crazy Horse. There is a nice walkway leading up to the lookout where you'll get your best pictures. There is also a large gift shop on sight offering any souvenirs you would want. 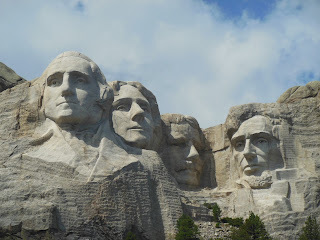 The Mount Rushmore feel is much more authentic than the Crazy Horse experience. 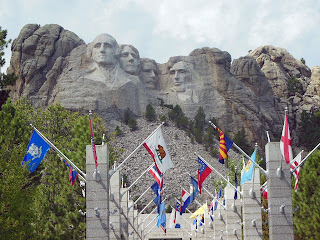 Make sure to check them both on your South Dakota trip, just prepare for the difference in the two experiences.